From this tutorial you’ll learn how to add WooCommerce bestsellers using WooCommerce Bestsellers JetElements module for Elementor. 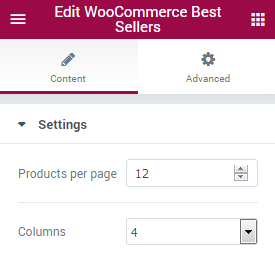 WooCommerce Bestsellers module is extremely helpful if you need to show the most sold products on your website’s page, and arrange them in columns. As a result, you’ll be able to add WooCommerce bestselling products to your web page without much effort! Before using WooCommerce Bestsellers module make sure that you’ve installed and activated WooCommerce plugin.